Shoprobertson.com knows what’s hot! Years of daily collaboration with stylists, designers, and celebrities have put us on the inside track of the exclusive Los Angeles fashionista scene. Whether you’re looking for the latest trends, one of a kinds, or basic staples, shoprobertson.com will take you there! Best of all, with our one-click shopping, shoprobertson.com, brings all the style and glamour of Robertson Blvd to your fingertips. We spent 5 years as the marketing & design team for Shoprobertson.com taking it from an idea to a hugely successful website and business. TheFind.com listed the site as one of the top 100 shopping websites. 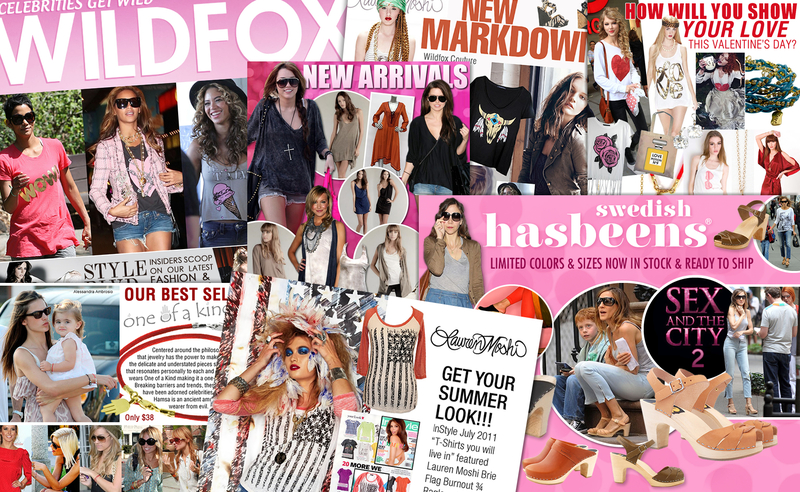 We produced over 1000 newsletters of the course of Shoprobertson.com’s 5-year run, advertising sales, exclusive products, new designers and celebrity “as worn by’s”. 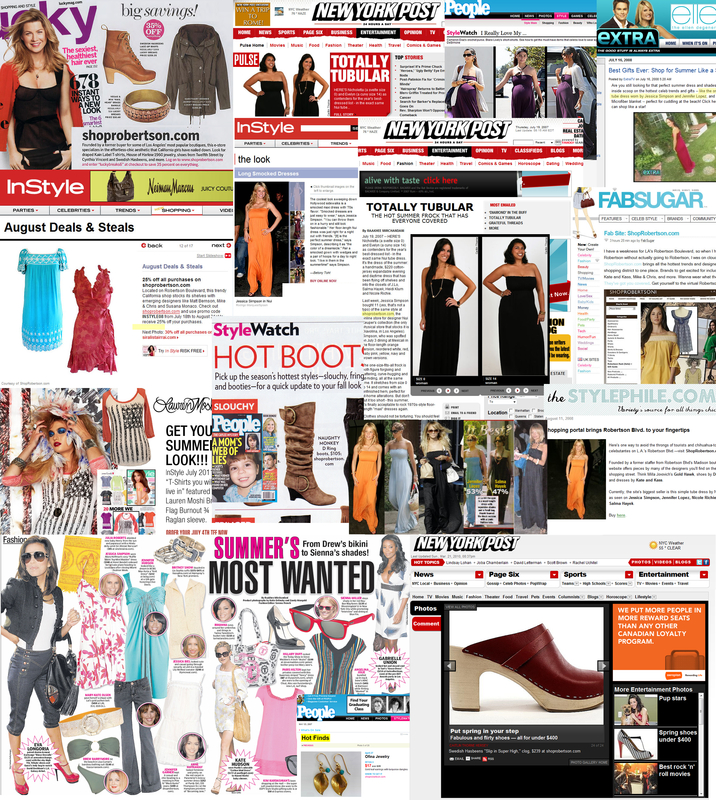 Thousands of design hours and strategy sessions had a major return on investment as top publications including, Lucky Magazine, InStyle Magazine, New York Post, People Magazine, Extra Television, GoodMorning L.A. all featured Shoprobertson.com as the place to get your next look.